A multimeter or a multitester, also known as a VOM (Volt-Ohm meter), is an electronic measuring instrument that combines several measurement functions in one unit. 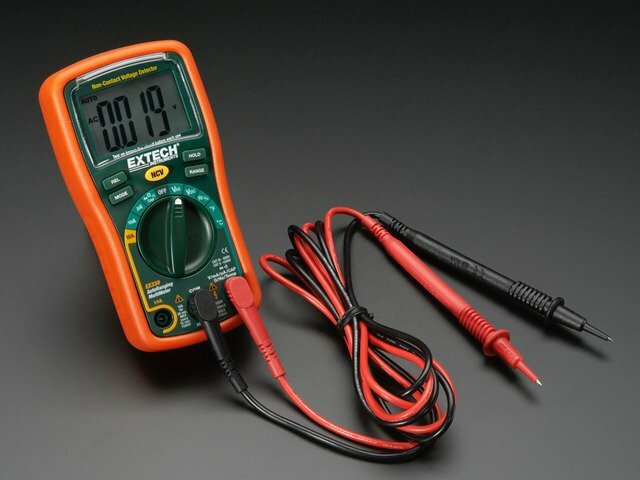 A typical multimeter would include basic features such as the ability to measure voltage, current, and resistance. Analog multimeters use a microammeter whose pointer moves over a scale calibrated for all the different measurements that can be made. Digital multimeters (DMM, DVOM) display the measured value in numerals, and may also display a bar of a length proportional to the quantity being measured. 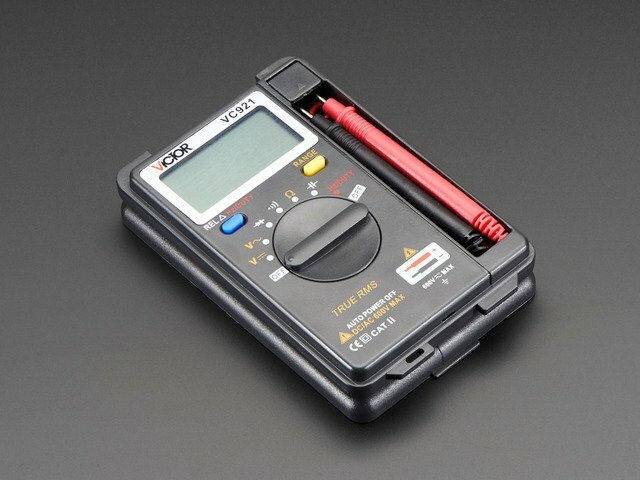 Digital multimeters are now far more common than analog ones, but analog multimeters are still preferable in some cases, for example when monitoring a rapidly-varying value.A multimeter can be a hand-held device useful for basic fault finding and field service work, or a bench instrument which can measure to a very high degree of accuracy. They can be used to troubleshoot electrical problems in a wide array of industrial and household devices such as electronic equipment, motor controls, domestic appliances, power supplies, and wiring systems.Multimeters are available in a wide range of features and prices. Cheap multimeters can cost less than US$10, while the top of the line multimeters can cost more than US$5,000. This guide was first published on Jun 11, 2014. It was last updated on Jun 11, 2014. This page (Learn More) was last updated on Mar 27, 2019.